Island, state and city, Singapore is a cosmopolitan setting where you can relax, discover remarkable museums and enjoy cuisine from the four corners of the world. Novotel welcomes you for an exclusive experience in this larger-than-life city, in a setting where you can enjoy rest and relaxation. The heart of Singapore is the Colonial District, home to most of the city’s museums. They include the Singapore Fine Arts Museum. The Asian Civilisations Museum and Peranakan Museum display Chinese cultural artefacts. 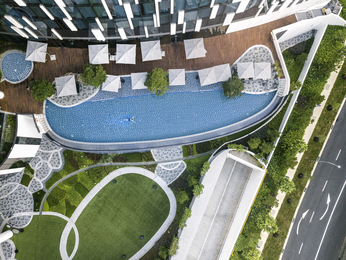 People who love urban parks can enjoy the Gardens by the Bay, right in the heart of the city. From Swan Lake to the orchid flowerbeds, through the humid tropical forest, the different scenery will enchant you. The city is also home to Sri Mariammam Temple, classified as a historical monument, with a façade decorated with multi-coloured sculptures. Magnificent and dynamic, a mix of tradition and modernity in a constantly changing nation, Singapore is flamboyant. 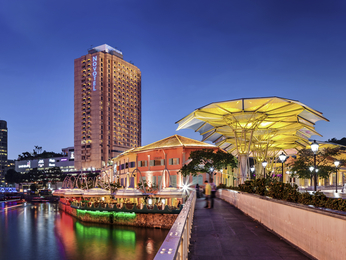 Our Novotel Hotel welcomes you into the very centre of the city, on the banks of the Singapore river.